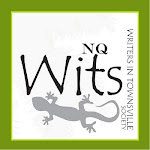 Writers in Townsville Society Incorporated: A what's on notice of what's on. A what's on notice of what's on. I copied this from an email I received. it's a bit of a data dump but it's an interesting one, one that will make you walk away stroking your chin and saying "hmmm' to no one in particular. I had to remove the photo's because they didn't work. Apologies all round, accepted of course. Jo Dutton, an Alice Springs based writer, knows all about the highs and lows of being a regional writer. Her third novel, 'From Alice With Love' was published this week by Allen & Unwin. Like all her novels, her latest From Alice With Love is set in regional Australia. It is set in the year of the Federal Governments intervention into remote Aboriginal communities and is a book that challenges the complexities of that time. Jo will be workshopping with local writers on getting published, as well as writing about your own region. Gerard Waterford is a narrative therapist who writes supported memoirs, one of which won him the 2008 Human Rights Award for Alone on the Soaks The Life and Times of Alec Kruger co-written with Alec Kruger. He will workshop the writing process of memoir and family stories. So no doubt, if you are passionate about writing about your land and way of life and are interested in some first-hand knowledge on being published, book now! Lit Hub 17 July at 7 pm We have turned two years old. You are invited to our PARTY! We are happy to announce the TWPC reached its 2nd birthday on July 1 this year! And we want to celebrate with what else but cake and our literary friends! Join us to mark this special occasion with a bang on Wednesday July 17. We will also launch of our new and very groovy website designed by awarding winning firm TBD. We hope to see you all there for what will be a spectacular night. We are looking forward to reminiscing along with you. Did someone say cake! And of course, celebrate many more years to come! Benjamin Law is a frequent contributor to Frankie, Good Weekend, The Monthly and QWeekend, and has been published in over 50 Australian and international magazines. He is also the author of The Family Law (2010) and Gaysia: Adventures in the Queer East (2012). Benjamin will be taking secondary school students through the world of freelance writing. He will run through the fundamentals of researching, writing and editing non-fiction stories for magazines, websites and newspapers. Everything from interview strategies and story ideas to story structuring and tone is on his list to cover with students! We are still taking school and group bookings. E carla@twpc.org for more information. Join us as we delve into the delicious world of food writing. Indulge in fine Korean food at this new eatery with a group of local writers over a meal at Zizigo Bibigo. We will eat, relax and then, we will turn our critiquing hats on as we all try our hand at writing a food review. Pretend you are a trusted food critic of the Townsville Eye and give it your best shot! Or, if you're daring enough, take on the role of Matt Preston and have some fun with it! There is limited seating of 10. Pay for your own meal but book a seat now. The Townsville Writers and Publishers Centre is proud to partner with the QPF to bring the regional roadshow to Townsville. One day only Townsville! Get those words out of your notebook and into the world. Award winning poet and performer Kelly-lee Hickey will give you tips on how to present your work on the stage, the page and beyond, including practical information on editing, spoken word performance and collaborating with other artists. She will also share her knowledge of publishing, performance and skills development opportunities in Australia and beyond, with a focus on support for regional writers. Where: Townsville Writers and Publishers Centre Inc space, Riverway Arts Centre. This workshop is FREE but spaces are limited. To secure your place book here. Queensland Poetry Festival invites you to an evening of the finest poetry spoken in one strange word. Setting the night alight is the 2013 Arts Queensland Poet in Residence Shane Rhodes (Canada), the powerful quiet of Brisbane poet Eleanor Jackson, the startling poetics of Kelly-lee Hickey (NT) and the woven words of Canadian poet Jacqueline Turner. For one night only in Townsville, this is an evening not to be missed! Where: Riverway Arts Centre by the lagoon. This performance is FREE or $12/head for scrummy tea, coffee & dessert. To secure your place book here. Kelly-lee Hickey (NT) blends poetry with performance and visual arts to explore the intersections between site and soul. Kelly-lee has performed her work across Australia and Asia, and is a previous winner of the Australian Poetry Slam. Her work has been published in Australia, China and New Zealand and her chapbook Thicker than Water won the 2011 Press Press Manuscript Prize. Kelly-lee has extensive experience and qualifications in community cultural development, working with festivals and individuals across Australia. Eleanor Jackson is two-time winner of the Midsumma Poetry Out Loud slam and recent National Poetry Slam finalist, Eleanor has featured at the Overload Poetry, Queensland Poetry, Sydney Writers, Melbourne Writers, Brisbane Writers, Anywhere Theatre and Woodford Folk festivals. Her audio poems have been published in Overland Journal, Going Down Swinging and the Cordite Poetry Review, while recordings of her work have been featured on RRR’s “Aural Text”, 3CR’s “Spoken Word”, ABC Radio National’s “Night Air” and the online poetry channel, “IndieFeed: Performance Poetry”. Her video poetry collaboration with Doubting Thomas “Just before you died” was the winner of the Queensland Poetry Festival Filmmakers Challenge in 2012 and has been featured on Wunce Magazine and Slam TV. She is the co-creator of several extended poetry works, having collaborated with fellow poet Betsy Turcot as The Belles of Hell and with multi-disciplinary artist, Doubting Thomas. These works include the two-woman poetry dialogue, She Stole My Every Rock and Roll; an audio visual remix and tribute to Ted Hughes and Sylvia Plath, DJ Thought Fox vs MC Lady Lazarus; and Chosen Family, which premiered in 2013. She is currently working on an audio installation of poetry works for the Exist performance art program at Metro Arts. is the author of five collections of poetry, including The Wireless Room, Holding Pattern, The Bindery, and most recently, Err. His poetry has won numerous awards, and has been featured in national and international anthologies. Shane is the poetry editor for Arc, Canada’s only national poetry magazine. Over the last two decades, Shane has worked in developing Canada’s literary culture, giving poetry readings and lectures across Canada, leading a number of poetry workshops in different cities, and establishing Arc magazine’s first virtual poet in residence program, providing mentorship to new and emerging poets across Canada. Jacqueline Turner (Canada) has published four books of poetry with ECW Press: The Ends of the Earth (2013), Seven into Even (2006), Careful (2003), and Into the Fold (2000). She reviews for the Georgia Straight and lectures at Emily Carr University of Art + Design. She was the inaugural Arts Queensland Poet In Residence, which saw her tour through Western Queensland giving readings and hosting workshops. Your poem is better than mine - Eleanor Jackson a tasty sample to whet your appetite for QPF Regional Roadshow. This blog is written and maintained by the WITS Inc. News Editor. The views expressed in this blog are not necessarily those of Writers In Townsville Society Incorporated.